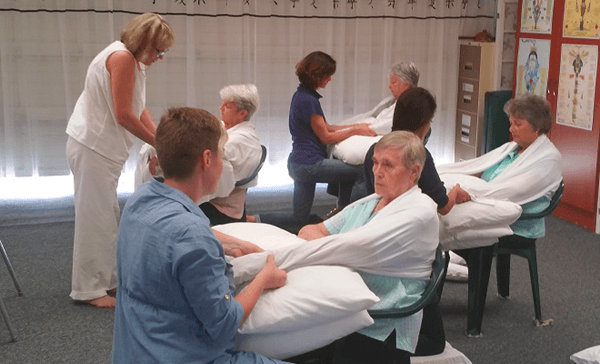 Shiatsu Acupressure training all levels, Upper Body & Full Body Shiatsu, Meridian massage, Hara Abdominal massage, Meridian theory of Yin and 5 Elements. • A short, practical course introducing you to Shiatsu. Beginners all welcome. • Great for those who have no previous bodywork experience and want to explore Shiatsu Therapy. • Done with person fully clothes, seated in a chair. • Can be done anywhere with no set-up cost. • 30 minute routine which includes the upper back, head, neck, and shoulders, hand & face. • In shiatsu, we do not use oils but cover the client with a soft cotton cloth. • A workbook and Shiatsu cloth is included in course fees and provided on day one. • 5 case studies to be completed at the end of training. • Students are assessed in class. • An introduction to all the techniques and Meridian stretches used in Shiatsu Therapy. • Suitable for beginners who have no bodywork experience and for other therapists who want to add more skills to their existing services. • Done with person fully clothed on a shiatsu mat on the floor. • A soft cotton Shiatsu cloth is used instead of oils. • 60-90 minute routine and includes the whole body with client on their back, side, and front. • Incorporates assisted meridian stretches for legs and upper body. • 10 case studies to be completed at the end of training. • Certificate of completion when paid up in full and all case studies and assessment completed. • ONLY available to those who have completed the Full Body Routine first. • This is usually arranged soon after Full Body Classes. • Great for working on children and the elderly, or clients who cannot lie on the floor. • Workbook included in course fees. This course assists a Therapist in identifying energy blockages on specific meridians to create an individual treatment for each client according to specific complaints. E.g. 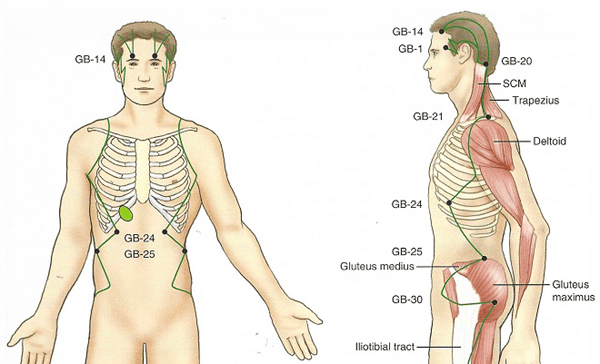 A client suffering from migraines and headaches will include meridian massage and pressure points along the Gallbladder meridian. 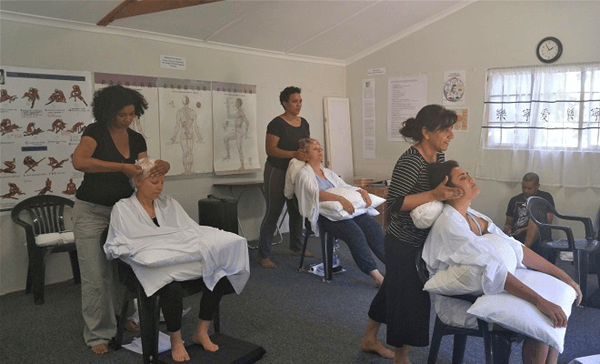 This course is recommended following the Meridian massage or the Hara shiatsu courses and includes the theory and principals applied to shiatsu and Meridian Massage. • How Meridians and energy work. • How does this affect our health? • An introduction to Yin Yang Theory which is are integral to Chinese culture and forms the basis of Chinese medicine and other modalities including shiatsu. • Understanding Yin and Yang in order to correct imbalances and promote self – healing. • Identifying symptoms and understanding the connection between our emotions, patterns of thoughts, beliefs and lifestyle to create harmony and balance to promote health. • An introduction to the five element theory. This theory forms the framework in many Chinese disciplines from Chinese medicine to feng shui to martial arts and shiatsu disciplines. • The Five Elements its correspondences introduce you understanding the natural laws of the universe and how this related to our health and the meridians. • Understanding the connection of our internal organs and their related meridians. • An assessment tool used together with meridian massage to stimulate the flow of energy in the body and promote self-healing. The Hara describes the quality of a person’s energy - one may have a "good hara" or a "bad hara"... Sedentary Living, poor eating, and drinking, lack of attention to breathing and posture contribute to universally weak conditions in the lower hara, which at the same time mental/emotional strain may lead to diaphragm tension and a tight upper hara. This is practical course and does not include the theory of TCM as applied to Hara Shiatsu. • Hara Shiatsu is performed by touch diagnosis of the abdominal area. In Hara Shiatsu a therapist is required to have a sound understanding of his client’s mind and spirit. • This is a practical course working on the abdomen using oils locate and clear congestion of the organs and related meridians. • Techniques applied to clear energy blockages in the internal organs. This includes the Lungs, diaphragm, Liver, Gallbladder, Spleen, Stomach, Large intestine, Small Intestine nad releasing Hara points on the abdomen. 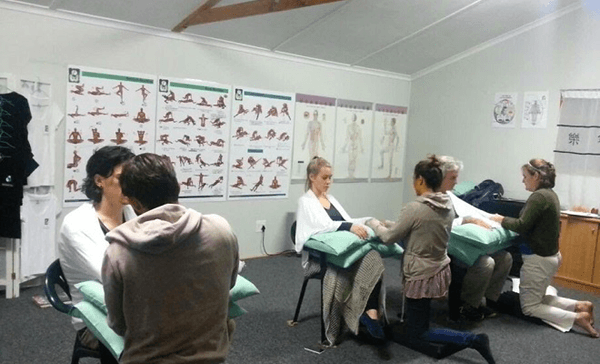 • A therapist will be able to perform a one hour Hara Shiatsu aimed at identifying congestion in the energy flow of the vital organs to release emotional blockages, create awareness and promote self – healing.